If you answered yes, you may have Evaporative Dry Eye. Although these symptoms often start as minor inconveniences, the effects of Dry Eye are progressive and can worsen over time, potentially leading to severe discomfort, blurred vision, and scarring. Dry Eye Syndrome occurs when the eyes do not produce sufficient tears or the tears evaporate too quickly. Without proper treatment Dry Eye makes daily activities frustrating, affecting your personal and professional life, from reading or watching TV, to driving or working on the computer. Greece on his Dry Eye treatments. The most common cause of Dry Eye Syndrome is the condition known as Blepharitis, which affects approximately 9 out of 10 Dry Eye cases (86%). However, Blepharitis is the most UNDER diagnosed cause of Dry Eye (if your eye doctor didn’t press on your eyelids to see what comes out of the oil glands, then it’s possible it was a missed diagnosis). LipiFlow® is a revolutionary treatment that opens up and cleans out the inflamed, clogged oil glands by gently heating the glands in the eyelid then “milking” out the inflammation-causing, clogged oils. It’s like taking dirty sewer pipes and “power washing” them squeaky clean. The treatment is painless and only takes 12 minutes to perform. There is no downtime, just like having your teeth cleaned at the dentist. 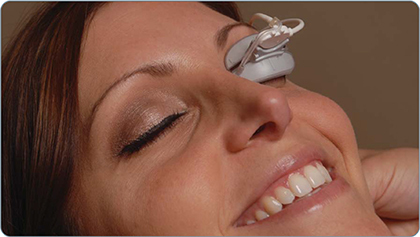 Many patients describe the procedure as a “spa treatment” for their eyelids. Attempting to address Dry Eye with artificial tears alone does not deal with the root cause of the condition. Without the healthy natural oil, tears continue to evaporate faster than produced. When the oils are healthy, they mix with the tears to slow evaporation, thus creating a moister eye environment to help alleviate your Dry Eye symptoms. Have you tried warm compresses? Many people have tried using warm compresses on the eyelids and finger massage to express the oil. Studies have found that this is not as effective as LipiFlow in cleaning out the clogged glands. Also many people are not able to do the at-home warm compress routine on a daily basis. In a clinical study, 86% patients reported improvement of their overall Dry Eye symptoms within four weeks of LipiFlow. Leaving your Blepharitis untreated runs the risk of the glands slowly scarring over time due to chronic inflammation in the glands. Once the glands are scarred, there is no way to bring them back. Dr. Brian pioneered the use of a testosterone cream applied to the eyelids after LipiFlow that is designed to reduce the reaccumulation of the clogged oils in your glands. Dr. Brian is an inventor of advanced dry treatments which he has received a patent from the United States Patent and Trademark office. Imagine returning to doing the things you enjoy without worrying about your dry eyes. LipiFlow® is designed to provide relief, so you can get on with your life. If you are ready to get started, call us at 310.594.5209, or email us at info@boxerwachler.com to schedule an assessment appointment. Reduce your dependence on drops or maybe even eliminate them. Susan had seen many doctors for her Blepharitis issues with no solution until a friend recommended her to see Dr. Brian. 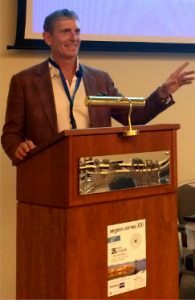 Mike from Alberta Canada talks about his experience with Dry Eyes and LipiFlow treatment. Jennifer, from Westchester, came to see Dr. Brian for LipiFlow for Blepharitis. Diana came from Rancho Mirage to see Dr. Brian for the LipiFlow treatment. Faye shares how she’s been doing 1 month after LipiFlow. She used to constantly have burning/tearing of the eyes and also suffer from styes. Barbara, a long-time patient of Dr. Brian’s, discusses her experience with the LipiFlow Treatment for treating her Dry Eyes. Moniqua from Los Angeles had Dry Eyes problems and now has relief after LipiFlow with Dr. Brian Boxer Wachler. 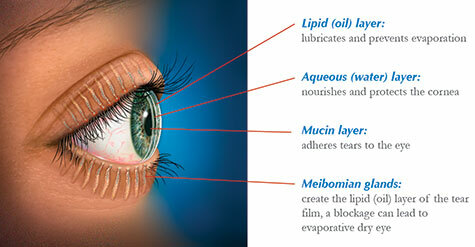 LipiFlow is a revolutionary treatment for dry eyes. Dr. Brian says relief for dry eyes is now a relaxing 12-minute treatment. Who is a good candidate for LipiFlow treatment for dry eyes? Dr. Brian says each patient is carefully evaluated to determine whether LipiFlow will be the best therapy. Dr. Brian’s dry eye treatments can free you from dryness, burning, irritation and discomfort and restore your normal life again. At last, relief from your years of suffering is finally available. We can eliminate or reduce your dependence on eye drops. Live a life of freedom from your dry eyes just like thousands of other good people like yourself who we have helped. Call today 310.594.5209, or email us at info@boxerwachler.com to schedule an assessment appointment where Dr. Brian will personally meet and evaluate you and discuss how he can help you.